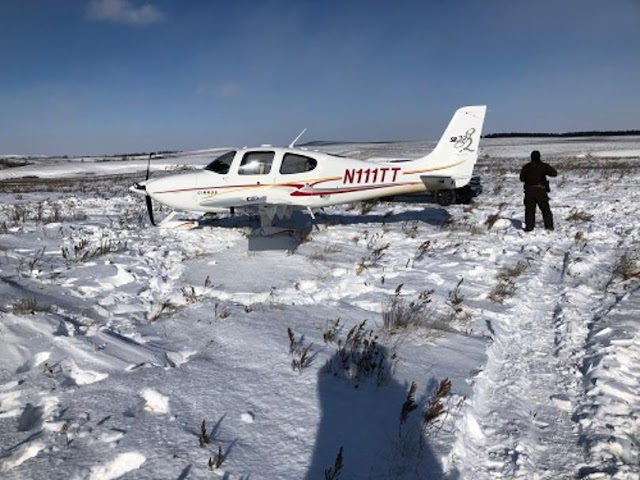 BISMARCK, North Dakota - Around noon on Tuesday, the Central Dakota Communications Center received notice of a Cirrus SR22 that made an emergency landing nine miles south of Bismarck near the McLean Bottoms Gun Range. The pilot notified air traffic control that he was having an oil pressure issue. The two people on board are safe. Cirrus SR22 have parachutes that can be deployed allowing the plane to come down slower, however it was not deployed in this instance. The Bismarck Rural Fire Department, Burleigh County Sheriff's Department, and Metro Area Ambulance are on scene. According to the Burleigh County Sheriff's Department they are sending a snowmobile unit to the scene. The registered owner of the plane is Dakota Skies Aviation LLC. 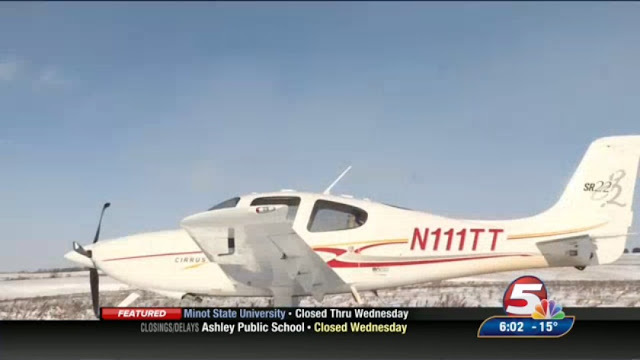 The plane was certified airworthy in 2004.